I’ll be attending TEDxManitoba today at the Park Theatre. 540 photos. 5.167 gigapixels. Taken Saturday, July 24, 2010 by Dan Harper. Click the thumbnail images for captured zooms. Double-click to zoom yourself. On the left you can see Portage Ave starting from Fort. On the very right corner you can see Main ST.
You can just make out things outside the perimeter at maximum zoom. Portage Avenue looking West. Winnipeg. 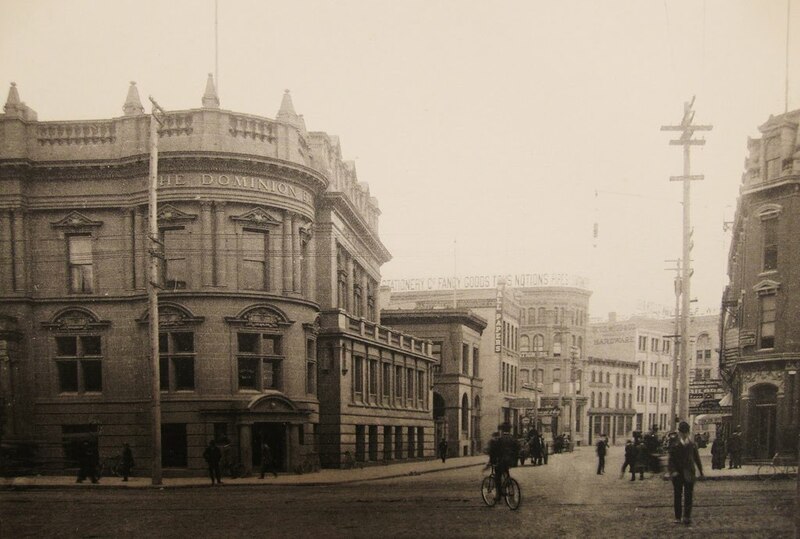 Winnipeg Quiz: Where was this 1950’s 1909 photo taken? Update: Correct answer submitted by AH. The location is McDermot Avenue, west from Main Street.